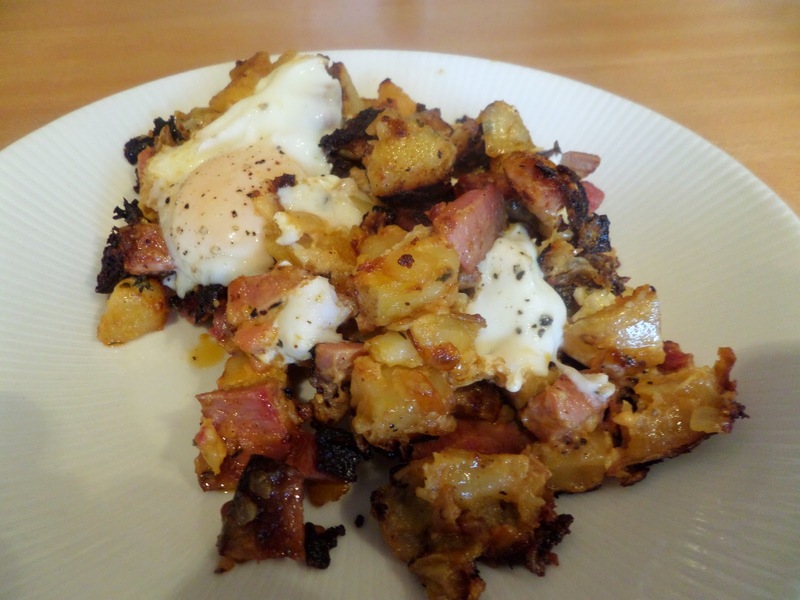 I’ve been meaning to do a breakfast hash for a while, so it’s time to stop messing about and get on with it. I’m following this Cook’s Country recipe but using the last of the xmas ham form the freezer rather than the more traditional beef. 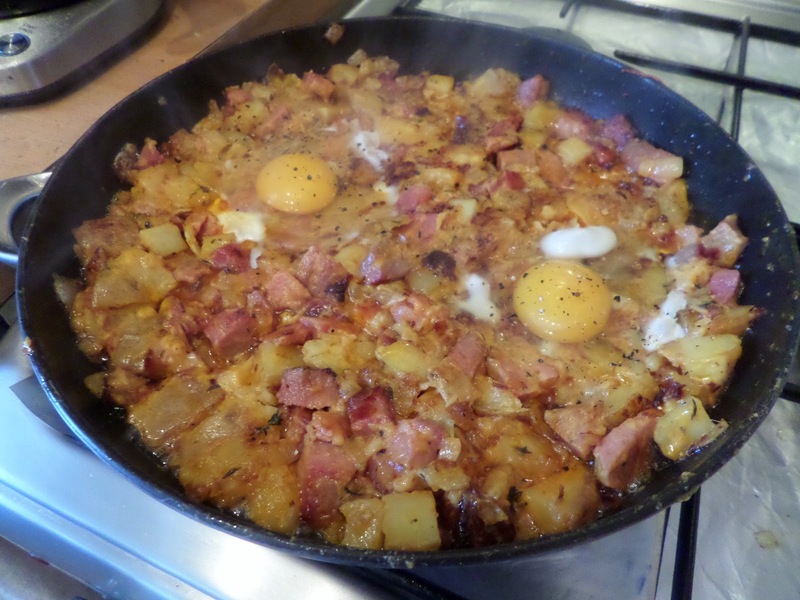 This is very suitable for breakfast: nuke potatoes, fry onions & garlic in butter, add together in pan, add cooked meat, hot sauce and cream, season, cook on high to get all crispy, cook eggs in dips in mix. Eggs were taking a while to cook, and over-crisping the hash, so I covered up the pan to speed them up. And voila! Hearty breakfast, great to line our stomachs before heading to the Craft Beer Rising festival.